I just created a group for the CDT on Facebook. If you’re interested in the CDT, you should join it. Like the CDTC while you’re at it too. 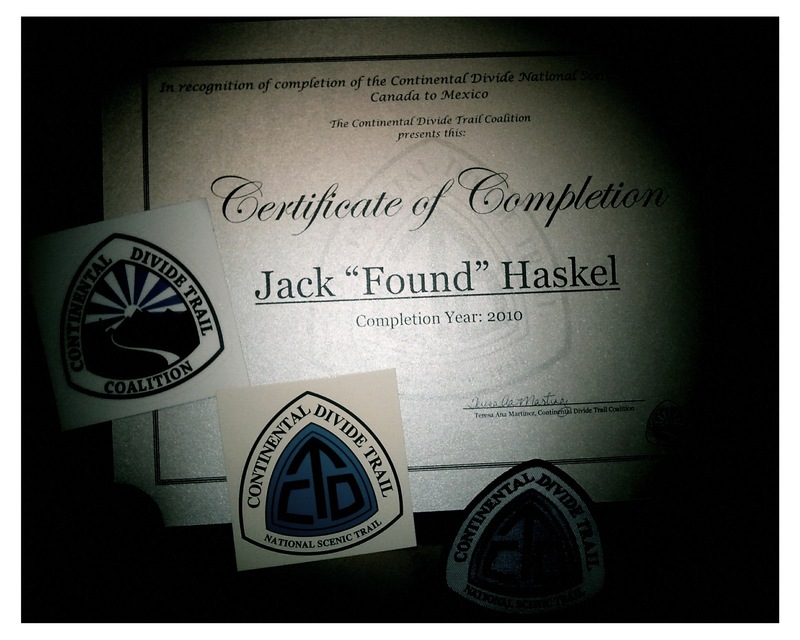 CDT friends, the new Continental Divide Trail Coalition just started issuing completion certificates for the CDT. I just filled out my application and you should too! They haven’t started accepting members, but their founding paperwork should be done before too long and I’ll be one of the first people to sign up. A reader, wrote with questions about the PCT vs the CDT. Here, in my own words, I compare them. And now.. In too much detail… I delve into it. They are both very similar. The Pacific Crest Trail runs about 2,650 miles from Mexico to Canada. The Continental Divide Trail runs about 2,700 miles from Mexico to Canada. The PCT is in the western states of California, Oregon and Washington. The CDT is in the mountain states of New Mexico, Colorado, Wyoming, Idaho and Montana. Those in the know might object to my distance of the CDT. People say that it’s 3100 miles long. It is not! I’m not fully sure what the distance is, but the consensus amongst 2010 Sobos was around 2,700 miles. Feel free to leave a comment if you want to know more. Both trails are really long walks. Both go through desert and mountains. Both have bears and snakes. Both have dry and wet sections. Both have lots of information published about them. 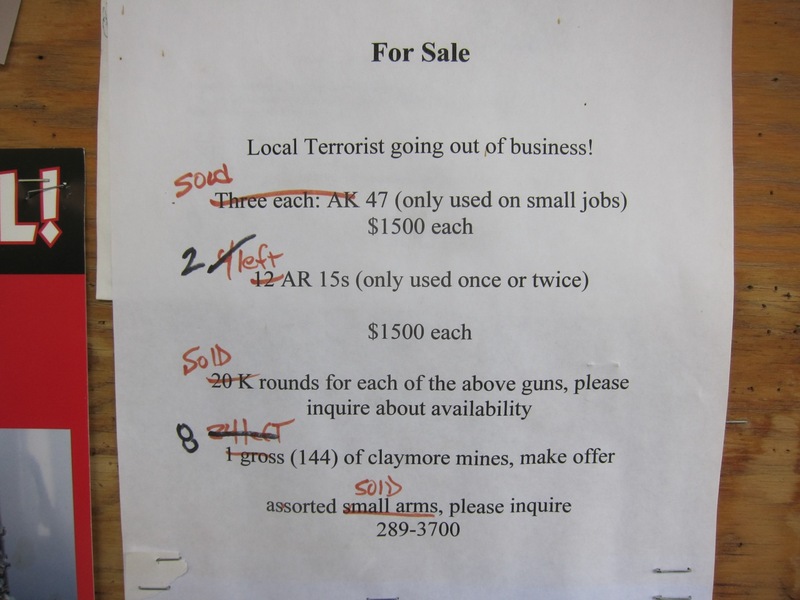 Both have reasonable resupply opportunities. They are more alike than they are different. There isn’t such thing as a stupid question. Except that one. I don’t have an answer. I loved the PCT. At the time, it was “the best thing that I’ve ever done.” The CDT has not surpassed that, other things have. The CDT was not that quality of an experience for me. 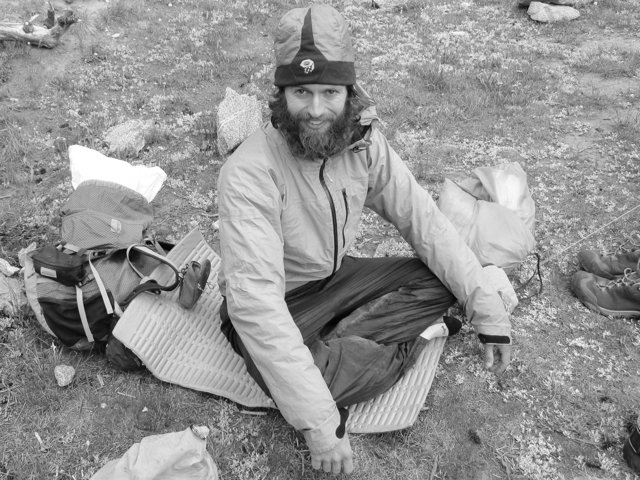 The PCT was a paradigm shift. It was a radical affirmation of my love of freedom, my love of backpacking, my love of the west, the wilderness and adventure. I’d already known all of those things. The PCT tattooed them on my soul. The CDT is another imprint. While not as impactful, hiking the Continental Divide was even more enjoyable than the PCT. Why did I like the CDT so much? Well, it was consistently beautiful. It has been said that the CDT has few “connector” segments. That’s true. So much of it is truly worthwhile backpacking. The PCT has the Sierra, hands down my favorite place on earth. It also has other remarkable places like the lower 48’s volcanoes and Northern Washington. Jim Wolf’s divide trail just has more of it. More beauty. More solitude. More adventure. I liked the CDT for those reasons. Part of that adventure comes from a slightly unjust quirk. The CDT has a reputation of being harder. It scares people. It has as a motto, “Embrace the Brutality.” Yogi also publishes that it’s “the PhD of backpacking”. Such a reputation is intimidating. I was scared. Now, I think it’s baloney. I don’t think that long distance hikers should be scared off from hiking the CDT. It’s not that bad! More on this later. Importantly, I’d learned more about myself on the PCT and in the living I’ve done between the two trails. I know what brings me happiness (the outdoors and relationships). I know what it feels like to death march. I know when a relationship works for me. I know when to be alone, and when to be with others. So, it’s for personal reasons that I enjoyed the CDT more than I enjoyed the PCT. The PCT was more amazing and impactful, the CDT was more enjoyable. On the PCT I hiked with many different people. I made great friends, but I also spent a lot of time keeping pace with people who I’m no longer close to. Relationships were hard out there. They weren’t as fulfilling. Yes, I had many great ones. I hiked with Pepi for a thousand miles. I met Snail, She-ra, Nemo and loads of other cool people. I was a social hiker. But on the CDT, I made a great hiking partner and that’s what made the trip. It’s that pairing of the outdoors and relationships. It’s that golden ticket. Lost is pretty quiet, but I pried her open and squeezed the juice out. We had fun. We didn’t death march. We compromised. We respected each other We laughed. And we stuck together. It was a great hiking partnership, and it made the trail for me. So, is the CDT harder? Probably, but they’re both ridiculously hard. The CDT has some steep climbs. Lots of uuuppp and dowwwnnn, especially along the Montana/Idaho border and in Colorado. On the CDT you find yourself hiking really steep sections. Sometimes, it’s because you are going cross country right on the divide. Ridge walking is never graded. Sometimes it’s because you’re walking an ATV track and thrillcraft love steep slopes. In comparison, the PCT has none of that. Southbound, I hiked a little faster on the CDT. It’s impractical to start much earlier than the middle of June. Right from the start, I felt the pressure of needing to make big miles to get out of the San Juans before it started snowing. On the PCT, you’re supposed to hike slow at first. There is no need to rush into the Sierra too early. On the CDT, we were all doing about 25 miles a day the entire hike. On the PCT, I had a month of 17-21 miles a day to start the trip. I also endured more bad weather on the CDT. Generally, it was good. But sometimes, we had really cold rain while walking right up on that crest. It’s high and exposed. It can be harsh. We had some snow. I got hypothermic. I got FAR too close to being hit by lightning. On the PCT, I had less bad weather. On both trails, it was generally, simply beautiful. You don’t really need to know how to navigate on the PCT. The trail is almost always obvious. It’s well marked. You’re hiking with others. You’re following footprints. It’s generally the widest path. Most PCTers hardly consider their maps. Many PCTers don’t know squat about navigation. My experience was quite unique. Since I was collecting information for a map, I had my GPS on all of the time. At every intersection, and every time I was misplaced, I’d have to be working with my GPS anyways. I used my GPS for navigating more than anyone. But I’m also a good navigator. I’ve taught classes and guides about it. So for me, I don’t think that navigation on the CDT is hard. Yes, it requires some skill and attention. But hardly more than a general stout backpacking adventure does. The CDT has a reputation for more wildlife. One thing that I’ve realized pretty deeply through my travels is that we’re royally screwing the environment. Yes, the CDT has more wildlife than the PCT. But it doesn’t have much! The PCT is pretty barren of animals. The CDT has some more, but it’s no Serengeti Does the myth of the wild seregeti still hold? The myth of wild america is tottering in my eyes. I saw nine bears. One was a grizzly. I saw about as many hunters as elk and deer. I saw about two hundred pronghorn antelope but no herds of hundreds. I saw half a dozen wild horses. Two rattle snakes. Lots of evidence of beavers, but no beavers. Lots of evidence of coyotes, large cats and badgers, but none of them either. I know that wild animals hide. I know that they’re often more active at night. And I know that their population has dwindled greatly. It’s our fault. I’m changing the climate. I’m encroaching on their homes. I’m letting toxins enter the environment. I don’t hunt, but MILLIONS of Americans do. It’s no wonder that the myth of the wild CDT is just that to me, a myth. The best wildlife encounter from the summer was truly remarkable however. I stood and stared for many minutes as four juvenile martens scampered, screeched and stared back from only four feet away. I spent about $1,000 more on the CDT. Hotels were a little more expensive and I shared them with fewer people. I went to a doctor. I replaced my shoes more often, replaced my camera and payed more to get to and from the trail. Personally, I’d be fine with $4500 for the PCT and $5500 for the CDT, but I spent about five hundred dollars more than that. What worked for you on the PCT will probably work well on the CDT. Sobo, I stupidly prepared for October at 14,000 feet (Colorado) when I was hiking in June and July in Montana. Go light. It’s not that bad. Except Colorado. Bring more warm clothes for Colorado. I do a light fleece under my rain jacket. I think that’s critical when it’s foul out. That’s a garment that I don’t normally carry in the summer. But September in Washington and September in Colorado? Be prepared. Otherwise, gear can be the same. Ultralight, fringe stuff works well enough. Go light. Know that there were a few more times on the CDT when I set my shelter up without a tree to be seen. That could be a problem if you’ve got a shelter that requires trees to set up. Some hikers manage it though. CDT as first long hike? Doing the CDT as your first long hike is very uncommon. 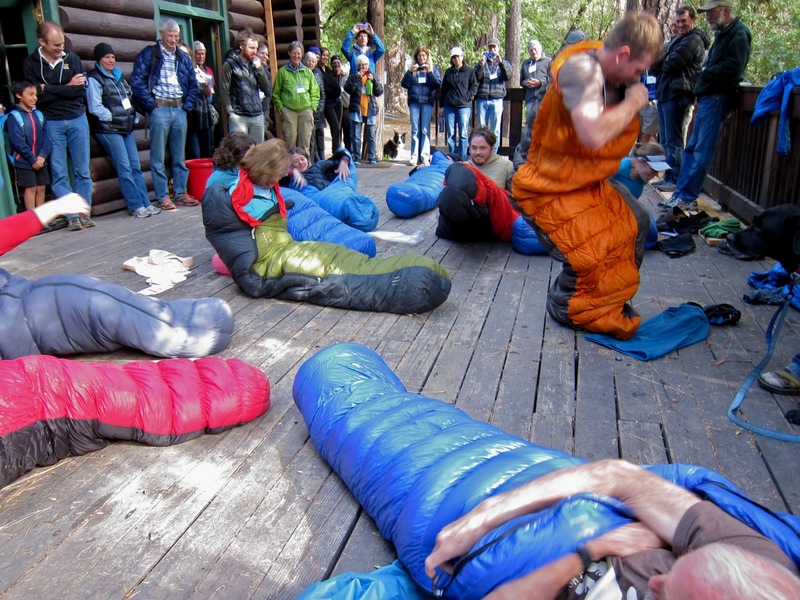 It’s commonly said that you’ll learn skills on the PCT that are useful on the CDT. Sure! One problem with doing the CDT first, is that you might not know some of the tricks. Does that mean that you’ll fail? Probably not. It’d be more of an adventure, it might be too much of a kick in the pants, but you’ll probably be fine. Know that there might not be anyone out there to “show you the ways”. You might flail along without the accumulated knowledge of the long distance community. If you’re someone who like to figure things out for themselves, I think it’d be a grand adventure. Long hikes teach you about your physical limits, your ability to hike through hardship, how to resupply, how to save money, how to be efficient, what informational resources are available, what gear works and is light. If it’s your first thruhike, hopefully you’re not heading out there with 60 pound packs, big leather boots, the CDTA guidebooks, a faulty resupply schedule, not enough water and food and no wilderness skills. You might just have a grand adventure though! My guess is that 55% of people go northbound. People are excited to get started and don’t want to wait until June. Northbound, if there is snow in Colorado when you get there, you might have problems. Many nobos flip ahead, or walk around some areas. A few go through. I haven’t done it, but it seems like there would be some seriously sketchy and steep snow slopes to cross if you are doing Colorado in the snow. Southbound doesn’t have that obstacle. Glacier can be problematic. But there are decent alternates. And it’s short, just south of Glacier, snow shouldn’t be a problem. There is plenty of opportunity for solitude on the CDT! People sometimes choose to intentionally stick together because if they don’t, they’re not really going to see anyone else. The CDT really is quite empty. The PCT is more social. Both the PCT and CDT have great towns. Enjoy them! Thanks for reading! Any more questions? Leave a comment and I’ll be happy to try to answer them.